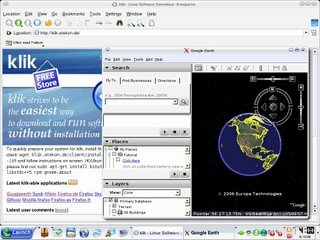 The klik has done it again....Google Earth Linux port is a native Linux application built with the open source Qt application development toolkit. Google Earth combines satellite imagery, maps and the power of Google Search to put the world’s geographic information at your fingertips. Fly from space to your neighborhood. Type in an address and zoom right in. Search for schools, parks, restaurants, and hotels. Get driving directions. Tilt and rotate the view to see 3D terrain and buildings. Google lists the minimum configuration as a Pentium 3 500Mhz and 128MB RAM, but recommends a 3D-capable card with 32MB RAM and 512MB system memory. To install applications with Klik client, simply locate the app’s page on the Klik website and click on that big blue“download and run” button. Klik will download and leave a CMG (Compressed iMaGe) file for that app on your Desktop. To run the program, simply double-click that CMG file. Since the file contains the application and all it’s needed files and dependencies, you can place it anywhere on your computer and run it and it won’t interfere with your system files. If you decide you no longer want it or dont like it, simply delete that CMG file. 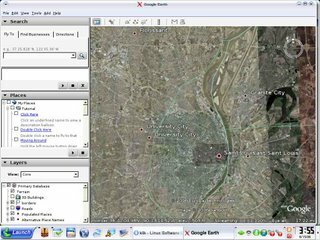 Although distribution-specific packages don't appear to be available yet, the installer available from the Google Earth web site is well implemented, and very easy to use. The Compressed iMaGe Google Earth worked perfect for me. Give it a try. 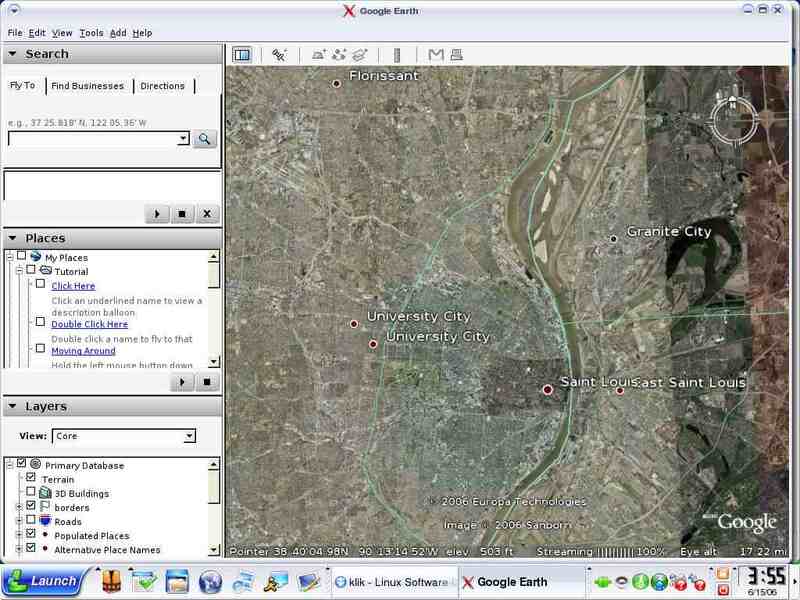 Note:Google Earth is a broadband, 3D application that not all computers can run.